Motorists could soon be banned from parking outside a Lossiemouth primary school. Double yellow lines could be painted on streets surrounding the St Gerardine’s Primary in an attempt to improve road safety for pupils. A string of improvements are planned for the area, and have already won the backing of Moray Council’s economic development and infrastructure services committee. However, the proposals must go out to public consultation before they can be formally approved. Head teacher Stephanie Gibson explained the dangers pupils currently encounter outside the primary’s gates. She said: “The entrance to the school car park is on quite a busy road, and at present cars can park on one side of it, making it difficult for cars leaving the park to see that direction. “It’s a danger to children. “There are no restrictions on parking and while there is a crossing patrol you can never be too safe when children are involved. “If a pupil was to cross between cars or behind cars there could easily be an accident. Under the proposals, parking would be restricted with double yellow lines at sections of School Brae, St Gerardines Road, Coulardhill Terrace, Prospect View and Prospect Terrace. 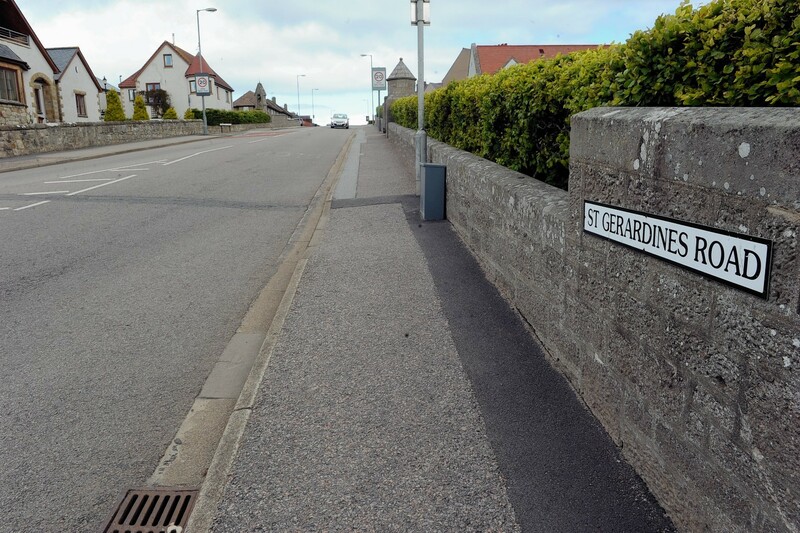 However, Lossiemouth councillor John Cowe told the committee some residents had reservations about the restrictions being added to the road by St Gerardine’s Church. Heldon and Laich councillor Allan Wright asked for police to monitor the double yellow lines for “an early period” after they are applied to ensure drivers are not flouting the rules.